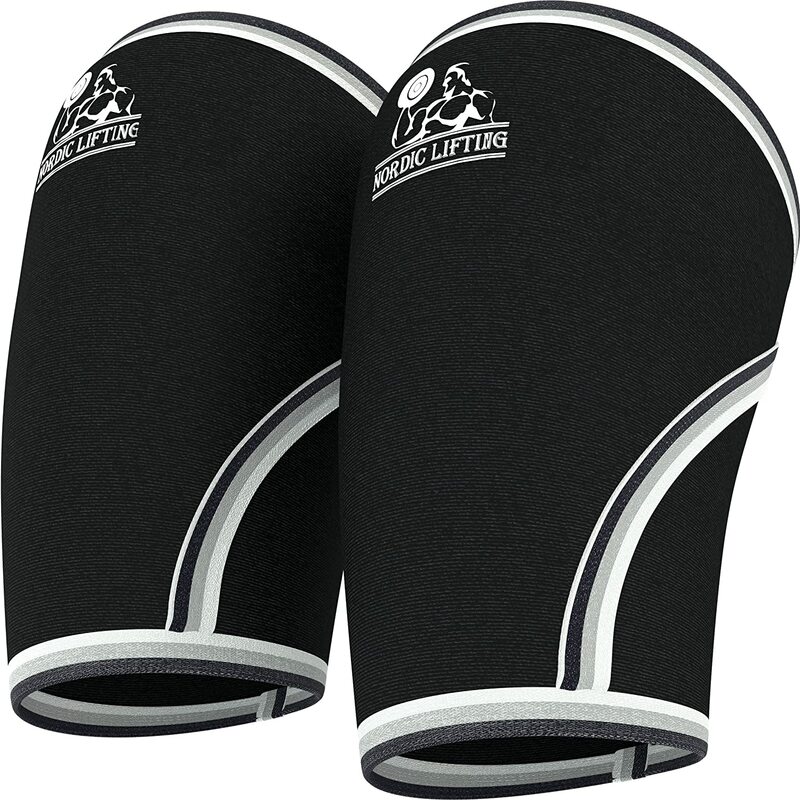 Elbow compression sleeves can be a great piece of equipment to have if you want to protect your elbows while training by keeping them warm and safe. They are also useful to keep the joint and surrounding ligaments compressed if you have any elbow related injuries including tennis elbow, elbow tendonitis, and many others. On this best elbow compression sleeve reviews page we’ll summarize the best sleeves out there, and then provide some more information on what to look for and how to pick the right sleeve for you – let’s get into it! I can’t get through a compression product review page without having at least one Rehband product make the list, and for good reason. This Rehband sleeve is made from 5mm thick neoprene, and boy it hugs the elbow nicely. It has a more contoured design that will fit the elbow better than most sleeves. Top all around elbow sleeve pick! 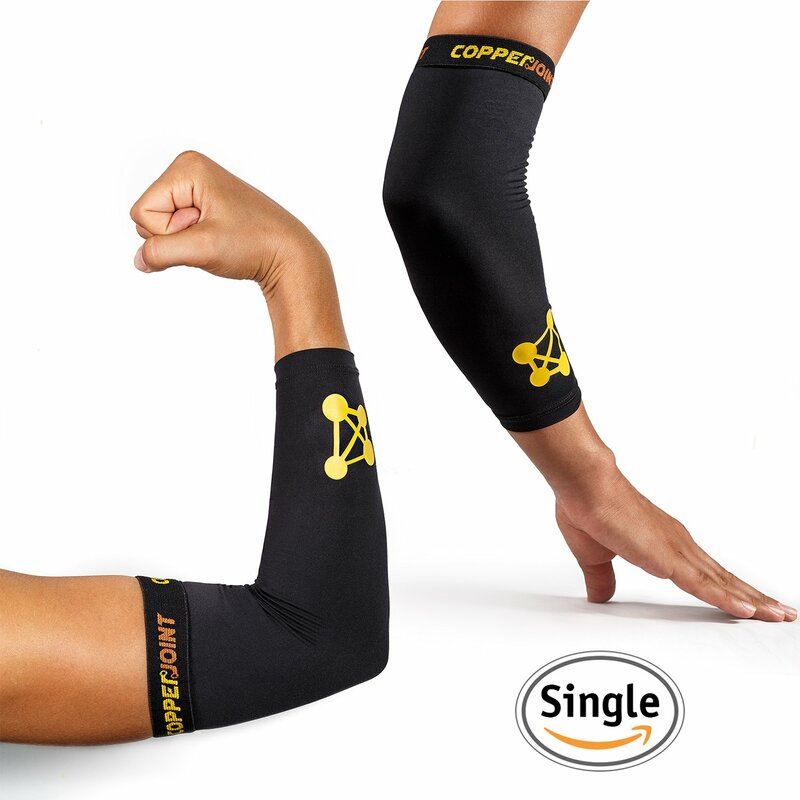 The Nordic Lifting elbow sleeve is our top pick for the overall best elbow compression sleeve out there. In my opinion, it can be used for any purpose whether it’s any sport you play, or while you want to leave it on for extended periods of time for recovery. You pretty well get two sleeves for the price of one of any other we’ve reviewed, these suckers are durable, and they hold their compression well. 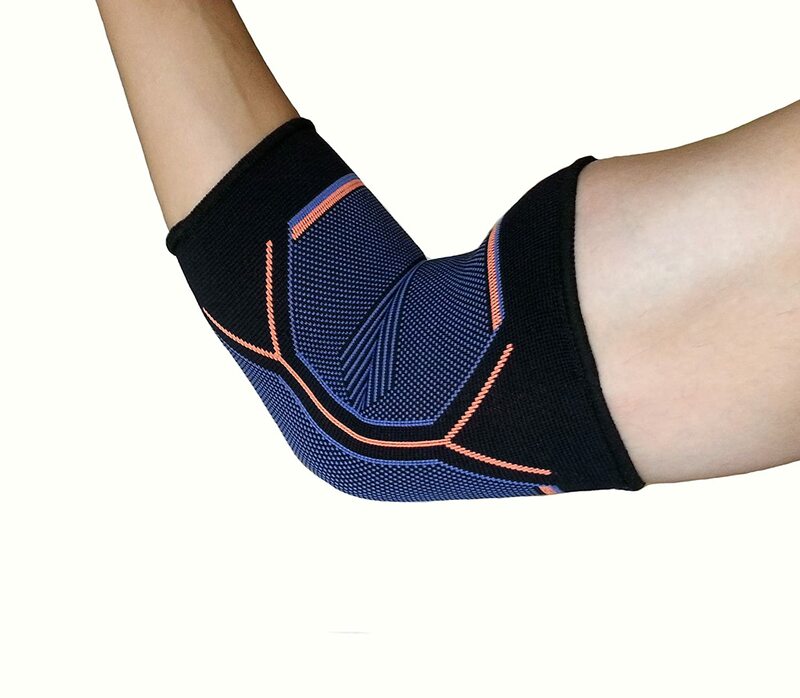 The Zensah sleeve is a really popular option that focuses mainly on recovery and therapy of various elbow conditions including but not limited to: elbow tendonitis, tennis elbow, and golfers elbow. One unique aspect of this sleeve is that you can fold over for a greater amount of compression. The sleeve boasts a comfortable fabric, staying in place while providing full range of motion, and a lightweight design. This is our top recovery elbow sleeve pick! 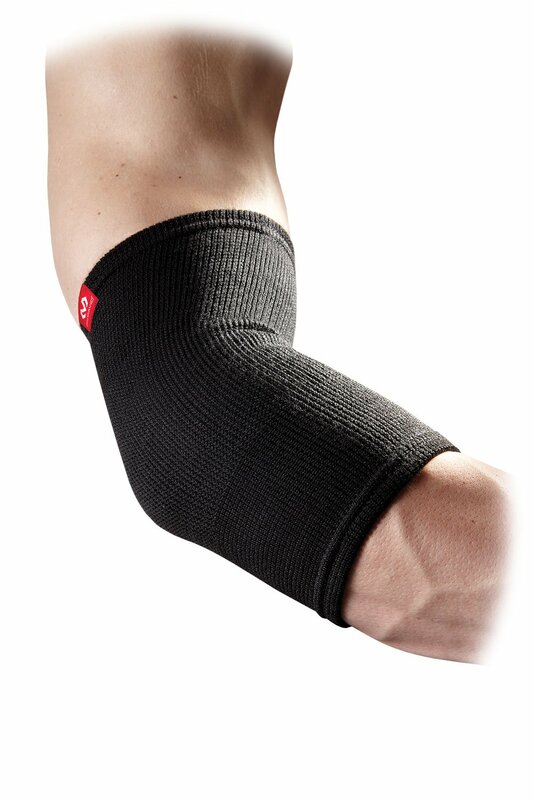 The McDavid elastic elbow sleeve is a standard in the industry – it’s not too flashy in any direction but it gets the job done for a very reasonable price. 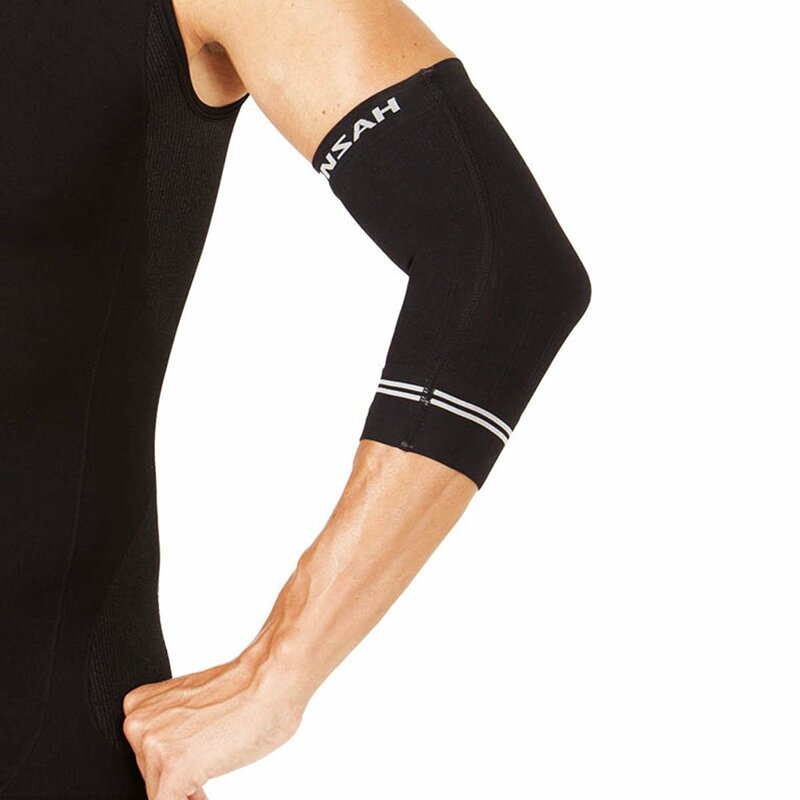 I would recommend this sleeve for light athletic activity, and more-so for regular wear to keep your elbow safe, or recover from elbow injuries. This is our top budget elbow sleeve pick! The Kunto elbow sleeve is really a phenomenal product that has addressed a lot of issues that other sleeves have. First off, this thing is insanely durable and will always maintain its tight form fit, and never compromise your mobility. This would have been my overall best elbow compression sleeve pick, but I do think that the compression is a bit tight and overall the construction is a bit overkill for most people. Buy it on Amazon for $20! I couldn’t finish this review off without touching on a copper sleeve! I think this is the best copper sleeve out there that offers a warming and “healing” effect while providing decent compression. CopperJoint is very well known, and they offer a 100% money back guarantee if you’re not satisfied. The company boasts an anti-odour, muscle and joint recovery, a thermal stabilizer, and moisture wicking design to keep you temperate. How to pick the best elbow compression sleeve for you! What will you use your sleeve for, sports, performance, or recovery? Do you have any material allergies that would restrict you to a certain sleeve? Do you want a warming sleeve with copper? This is going to largely depend on the manufacturer, but I can provide some out-of-the-box advice that will help you get the right size for your needs. If you want to use your sleeve for compression and performance, I always err on the smaller side. However, if you feel this may be restrictive or distracting for your sport than err on the larger side. If you need your sleeve to decrease recovery times and help treat elbow injuries, then get a size that will feel comfortable to wear for extended periods of time. In my opinion the smaller and more restrictive the sleeve is without cutting off circulation will always be the most effective – however if you’re wearing the sleeve for hours on end then you need to be able to be comfortable and keep it on. Almost all sleeves are made from neoprene. You may encounter blends of neoprene, elastic, nylon, and a bit of cotton. If you’re allergic to a certain material then just double check the product to ensure that it doesn’t contain anything that you’ll react to. In my personal experience, neoprene is the most durable, is the easiest to wash, and holds its shape and compression the best. 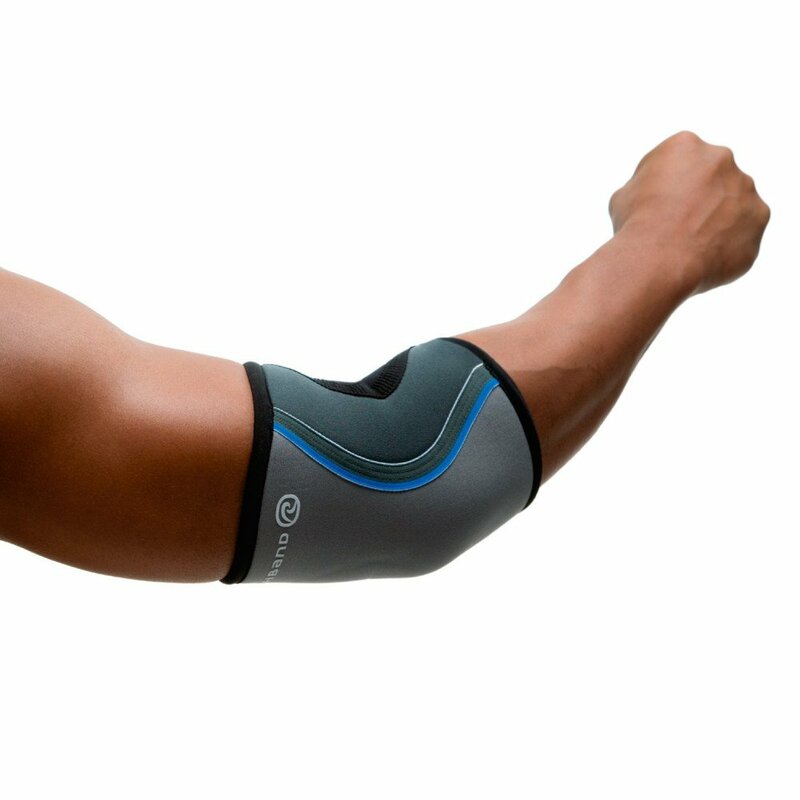 Best overall elbow sleeve: Rehband 7720 Rx Elbow SleeveIf you’re also interested in protecting your knees similarly to your elbows – we also have a knee sleeve review page just as extensive as this one!